Migraine Plus Other Headaches - Ice Pick Headache? Hello. 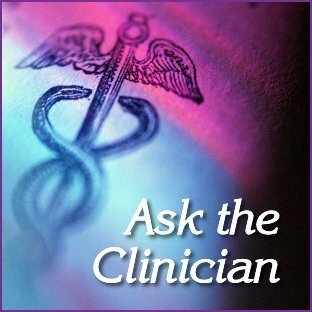 I've had migraines without aura for over 20 years. Lately, I've been having headaches that my neurologist insists are ice pick headaches, but I'm not sure he's right. I know you can't diagnose me, but would you read my description and tell me if these sound like ice pick headaches to you? They seem to center around my left eye, the opposite side of my migraines. The pain is very sharp, and it usually lasts for 15 to 30 minutes. Along with the headache, I get congested, and my left pupil gets smaller. This just doesn't match what I've read about ice pick headaches. I'd be grateful for your input and maybe pointing me in the right direction. Thank you, Ellie. Thank you for understanding that diagnoses need to be made by doctors you can see in person. Although we can't diagnose, we're happy to share information with you. Primary stabbing headaches, aka ice pick headaches last mere seconds. They don't last 15 to 30 minutes as you describe. Nor are they accompanied by other symptoms such as the congestion you describe or the miosis — shrinking of the pupil. We have more information on ice pick headaches in Ice Pick Headaches — The Basics. We would suggest that you start by working with a doctor to be sure that these headaches aren't migraines manifesting in a different manner than you're used to. It's entirely possible to have more than one headache disorder, so it would be wise to determine if you also have cluster headaches. The pain of cluster headaches is often located near the eye. They usually last 15 to 180 minutes, and the congestion and miosis you mentioned can be caused by cluster headaches. Although cluster headaches are more common in men, women do get them too. You can find more information about them in Cluster Headaches - The Basics. Another headache disorder that can have the symptoms you describe is paroxysmal hemicrania, so that's another one to discuss with your doctor. You can read more about it in Paroxysmal Hemicrania – The Basics. One more thing. To be honest, your doctor should know that ice pick headaches last seconds, not minutes. This is a time when you must be your own best advocate. You are well within your rights to get a second opinion from another doctor. It's important to note that neurologists aren't necessarily migraine and headache specialists, and migraine and headache specialists aren't necessarily neurologists. You may do well to seek care with a qualified specialist. For more information about specialists and how to find one, take a look at Why, How and Where to Find a Migraine Specialist. 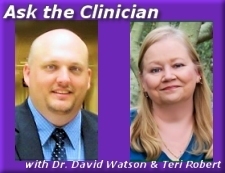 Questions submitted to our Ask the Clinician column are answered by Dr. David Watson and Teri Robert. If you have a question, please click ___HERE___. Accepted questions will be answered by publishing the answers in our column. Due to the number of questions submitted, no questions will be answered privately, and questions will be accepted only when submitted via ___THIS FORM___. Please do not submit questions via email, private message, or blog comments. Thank you.